First of all, cyber spying is the foundation of national security in the modern world. The United States would be grossly negligent if it was not doing cyber spying, when every other major country in the world is doing it. How often have we heard since September 11, 2001 “why didn’t our intelligence agencies know this was coming?” This false equivalency argument strikes me as a “blame America first” argument, that the United States deserves it for its own actions. This is not a way to ingratiate yourself with your fellow American citizens. Secondly, I’m guessing that many of the people making this argument just a few years ago had their hair on fire about electronic voting machines being hacked to rig elections. (Oh, you know you were). What makes you think that these Russian hackers will stop with attacks on the Democratic Party? We still have electronic voting systems that are vulnerable to hacking. As Vladimir Putin’s predecessor Joseph Stalin said, “The people who cast the votes don’t decide an election, the people who count the votes do.” This year, it could be Vladimir Putin. hillary clinton says the deleted e-mails were about weddings and yoga classes now they involve nation security which one is she lying about? you would rather not know about d.n.c. sabotaging bernies campaign well I do want to know! 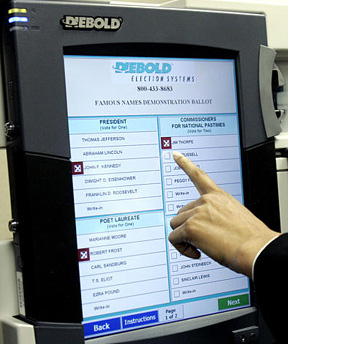 Diebold voting machines have already been used to steal elections. 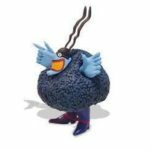 Some folks should be in prison for that, but you know, IOKIYAR. Nothing no the internet can be made 100% secure. My day job is to build and manage data centers, and anyone who tells you that electronic voting machines or internet voting is a good idea is an idiot or a liar.